It was founded in the 1950s started from a pushcart along Amoy Street but closed in 2004 and recently revived by the owner's grandson, Zhao Youning, 32, the former model and chef Justin Foo of Provisions. It is based on the original recipe from his retired Grandpa. 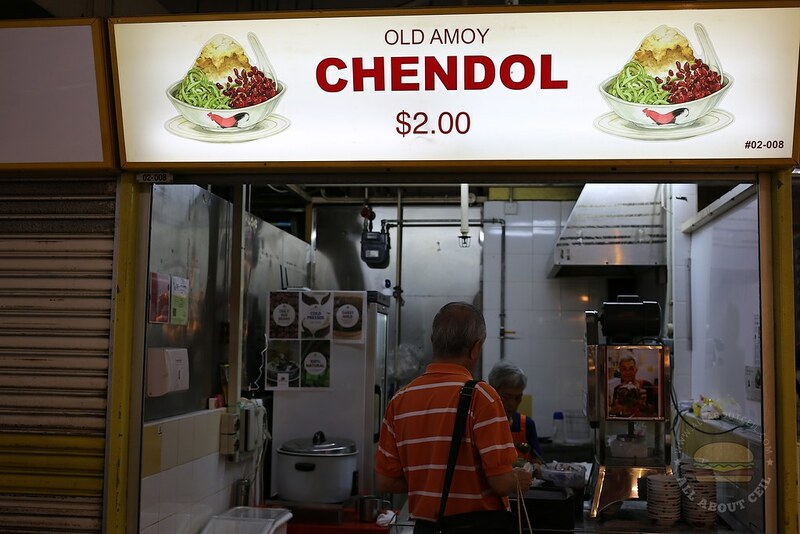 The stall has been around for more than a year, located at the Chinatown Complex Food Centre and it only serves Chendol at $2 per bowl. They insist in using the fresh cold-pressed coconut milk and not the coconut milk powder like some other stalls, that might compromise the taste. They are using gula melaka that is sourced from an artisanal producer in Sarawak and not brown sugar, which is often a cheaper alternative. The pandan jelly worms are made of mung bean flour with juice extracted from the pandan juice, the texture is much softer as compared to those that are factory-made and it has a light pandan flavor. The mashed red bean is soft though not overly mushy at just the right level of sweetness. Everything is made from scratch on a daily basis. 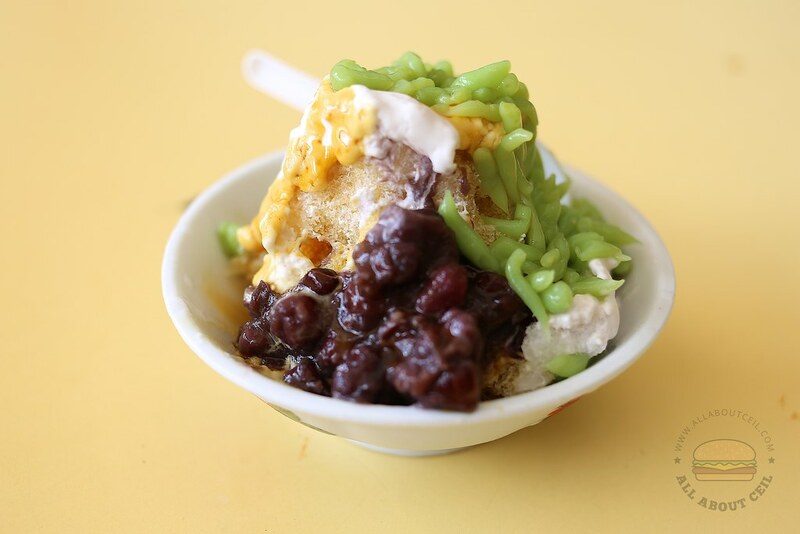 Both ingredients are placed on a pile of shaved ice together with coconut milk and the caramelized gula melaka in a porcelain bowl. It tasted fresh with not a bit of artificial flavoring detected though I prefer the coconut milk to be slightly sweeter and creamier with a stronger gula melaka flavor. 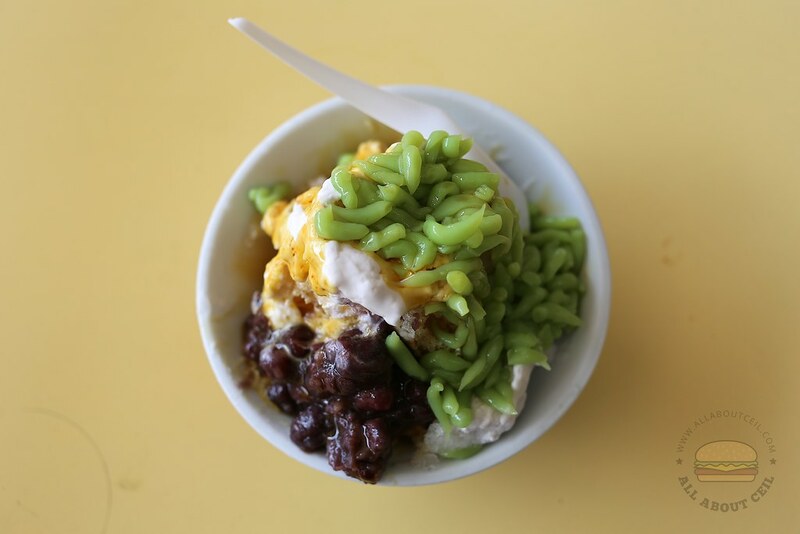 It has been a while to come across such a refreshing bowl of chendol. Such simple pleasure of life brings happiness.